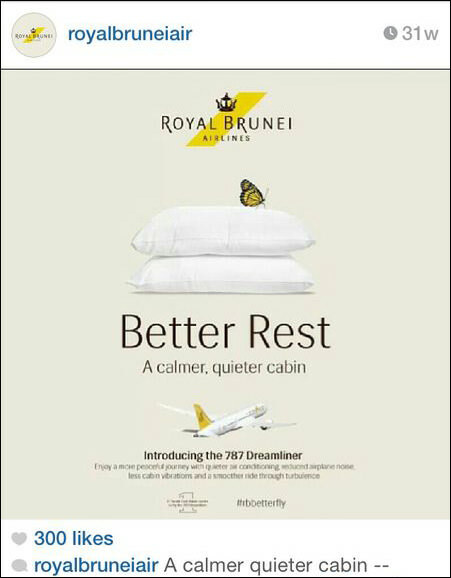 I have been approached by Royal Brunei Airlines earlier this year to review their Boeing 787 Dreamliner. By April, RB has offered my family and I the opportunity to fly on the Dreamliner to a destination of my choice, absolutely free. I have of course chosen to go to London as I have never been there before. 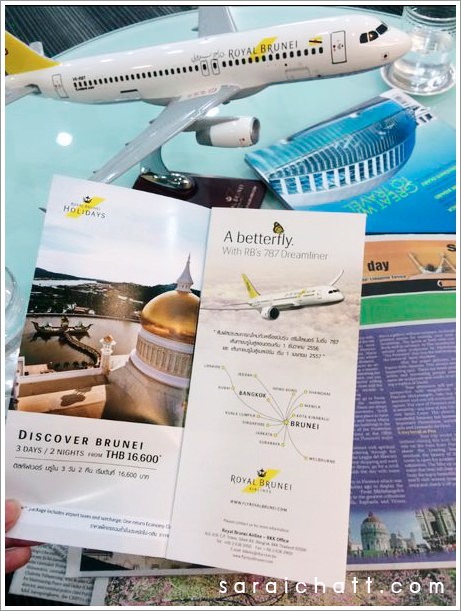 RB has also been kind enough to offer round trip tickets (BKK-Brunei) and free accommodations for 3 days and 2 nights in Brunei for the readers of my blog. Therefore I decided to stop by Brunei so I can personally tell you what a wonderful time I’ve had there. Please stay tuned for my next entries in case you might be the lucky winner. My first post will focus on how special the Dreamliner is. 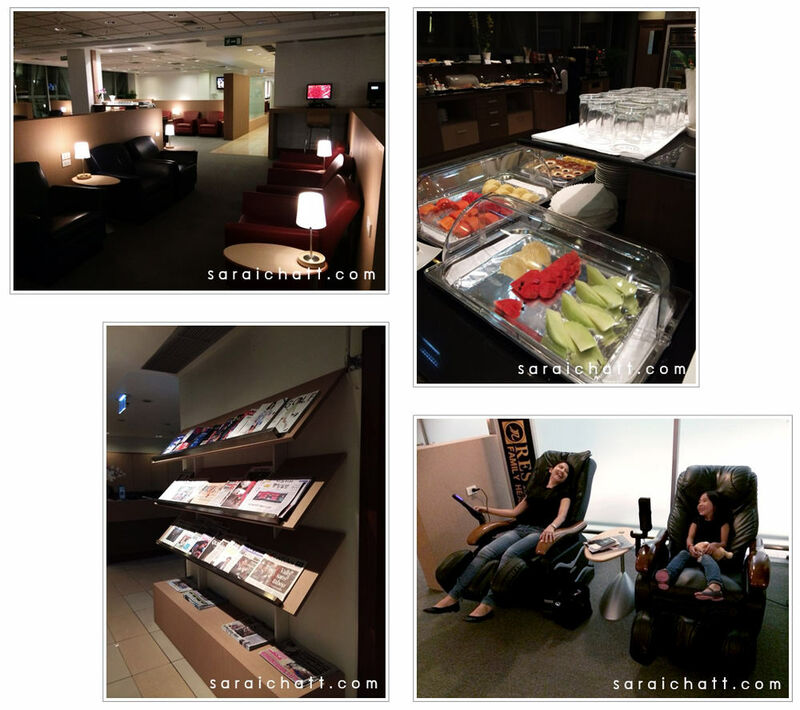 Before boarding, I always arrive early allowing enough time for duty free shopping and relaxing at the lounge, which is filled with a wide array of food and beverages including a huge selection of magazines. But what really caught my attention were the massage chairs. There were only two available so The three of us (including my husband and daughter) had to take turns. 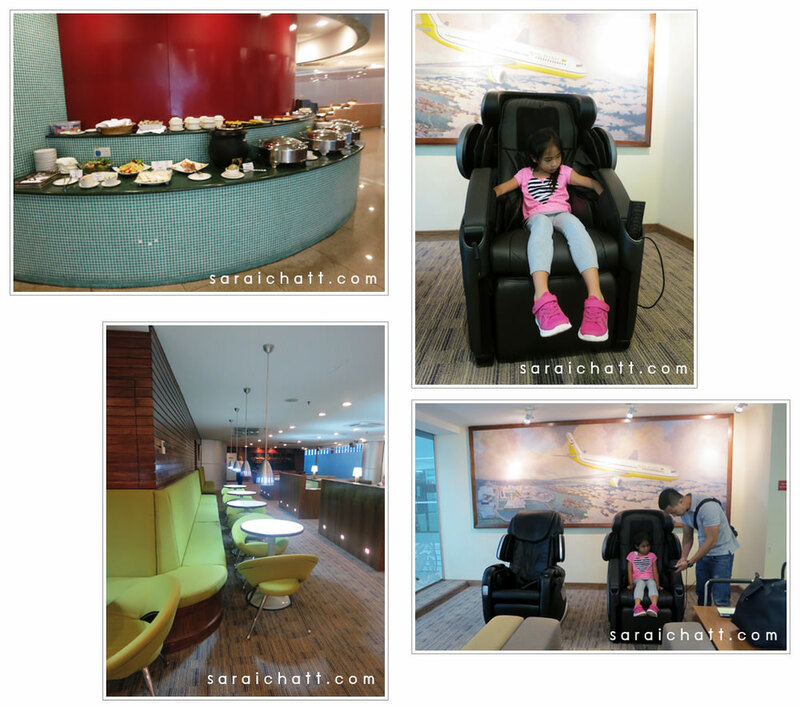 We visited the lounge twice, once in Suvarnabhumi Airport and again in Brunei Airport. 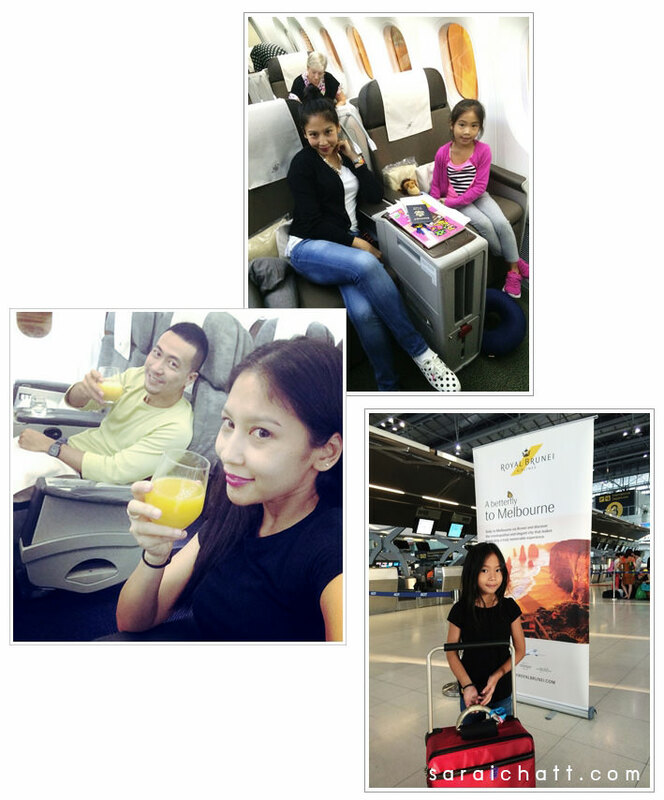 My family have been very lucky to fly business class (round trip bkk –brunei) in Airbus A320. 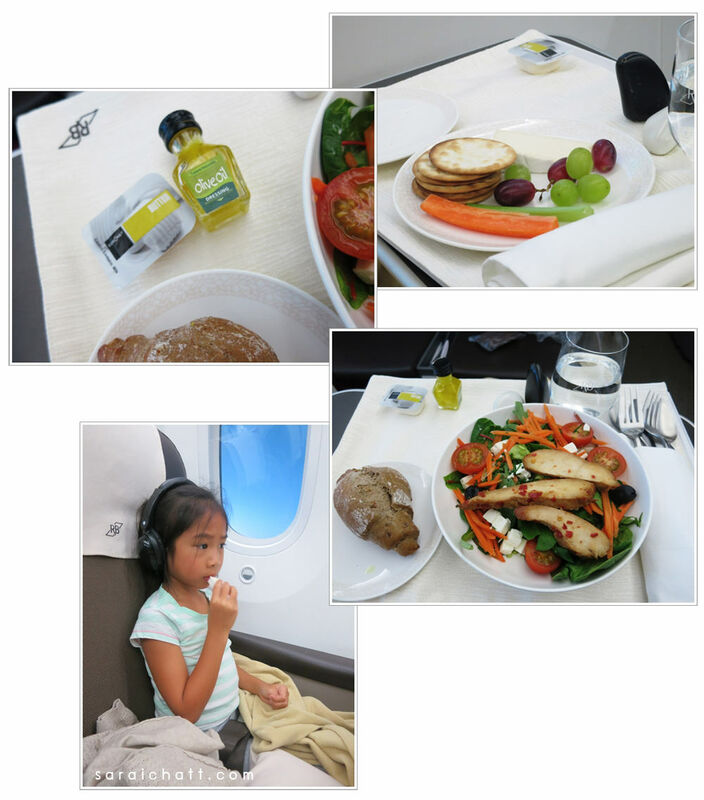 My daughter and I very much enjoyed our inflight entertainment on Dreamliner Boeing which included our own personal screen and iPad which was packed with lots of games, programs and movies. 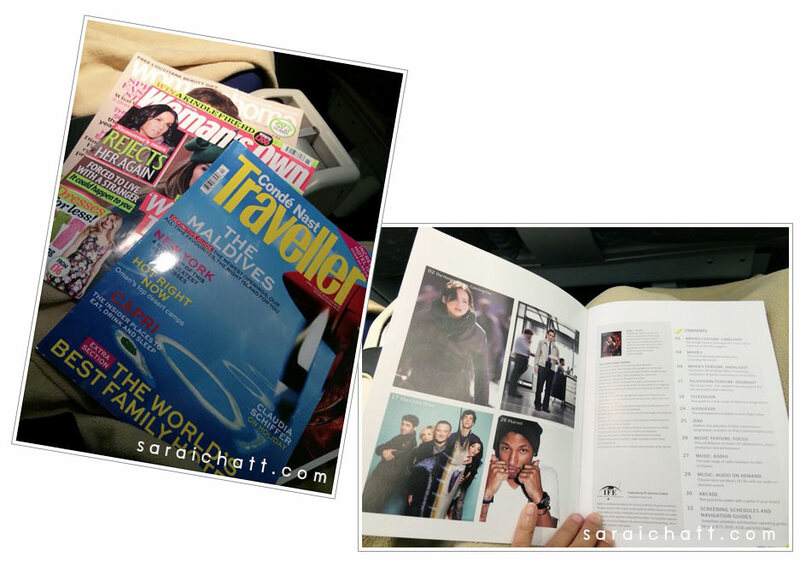 One can also choose from a wide selection of magazines which was constantly handed to us by the stewardess. ลืมบอกไปว่า RB ไม่เสิร์ฟเครื่องดื่มแอลกอฮอลล์นะคะ เพราะผิดหลักศาสนาอิสลาม สำหรับหนิงและสามีไม่เดือดร้อน เพราะไม่ได้ติดอะไร แต่เขาก็ไม่ว่าถ้าคุณจะพกมาดื่มเอง (แต่หนิงแนะนำ ดื่มก่อนขึ้นเครื่องดีที่สุด ) ส่วนการนำเข้าประเทศนั้นทำได้ แต่ในปริมาณจำกัดและห้ามดื่มในที่สาธารณะค่ะ เพราะความที่ไม่เสิร์ฟแอลกอฮอลล์ โอ้ววว เมนูเครื่องดื่มอื่นๆเยอะมาก หนิงกะลูกแทบจะดื่มทุกเมนูค่ะ ส่วนอาหารก็รสชาติอร่อยทุกมื้อ ใช้ได้! Since it is against Islamic religion to drink alcohol, RB does not serve alcohol on the flight. I suggest that you consume alcohol before boarding. You can also purchase alcohol but in a limited amount. On the other hand, there were a wide selection of beverages to choose from Menu. 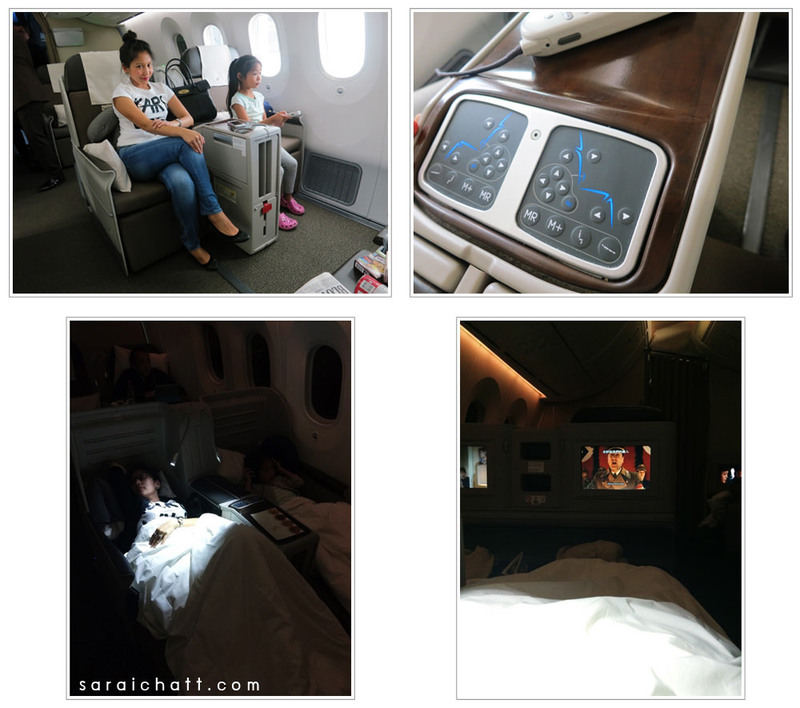 I have had the chance to experience Dreamliner during my transit in Brunei, flying from Dubai to London and back. It was a very exciting experience for me as I have been impressed by what RB executives told me about Boeing’s special features prior to flying. I also like the stewardess’ new uniform which has a more elegant and trendy look. 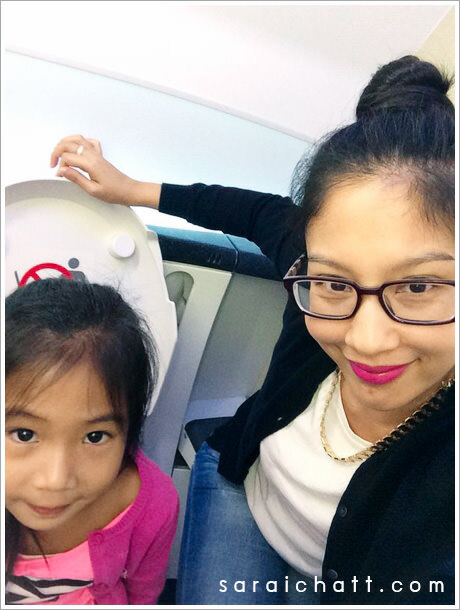 From my past experiences flying business, I must admit that the Dreamliners seat is very spacious (22 inches wide) and big enough for my daughter and I to sit together in one seat. There are many multifunctional storage spaces for you i.e. to keep your shoes and put your glasses. And of course we were given the multipurpose bag with the usual amenities. 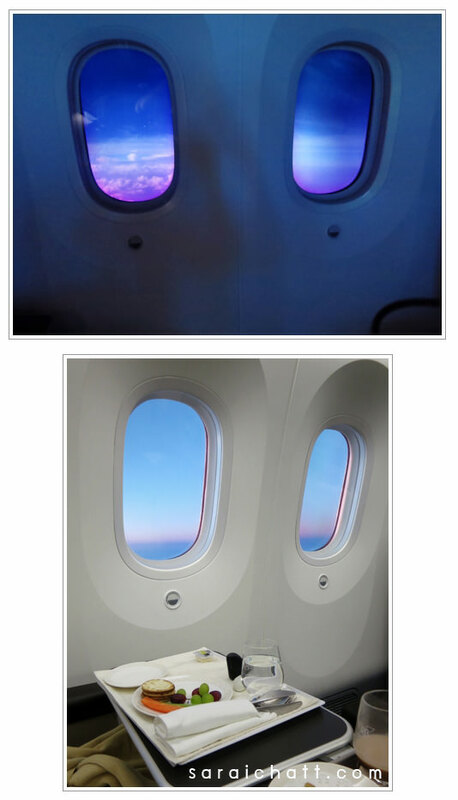 I have been wanting to see Dreamliner’s smarter window which has no window shield. The window pane changes color automatically according to the outdoor lighting. 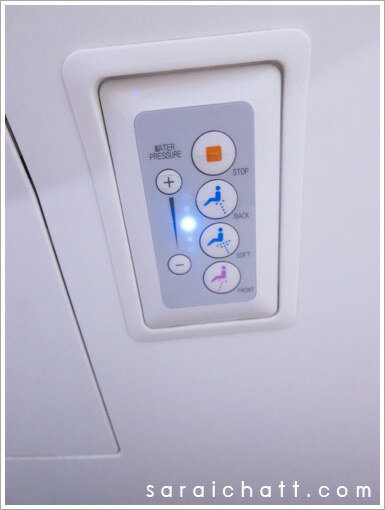 The cabin pressure is also automatically adjusted. 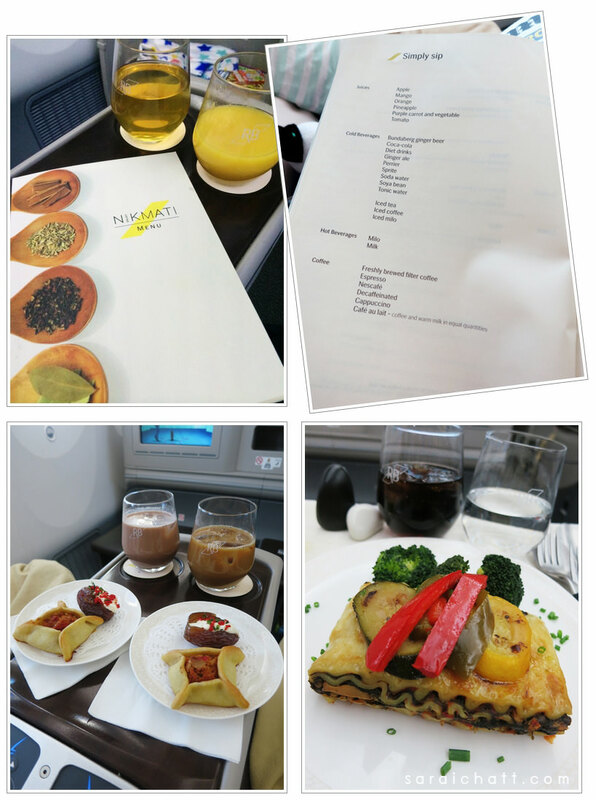 I experienced the smoothest flight and most importantly I would like to praise Dreamliner for it’s eco-friendliness. 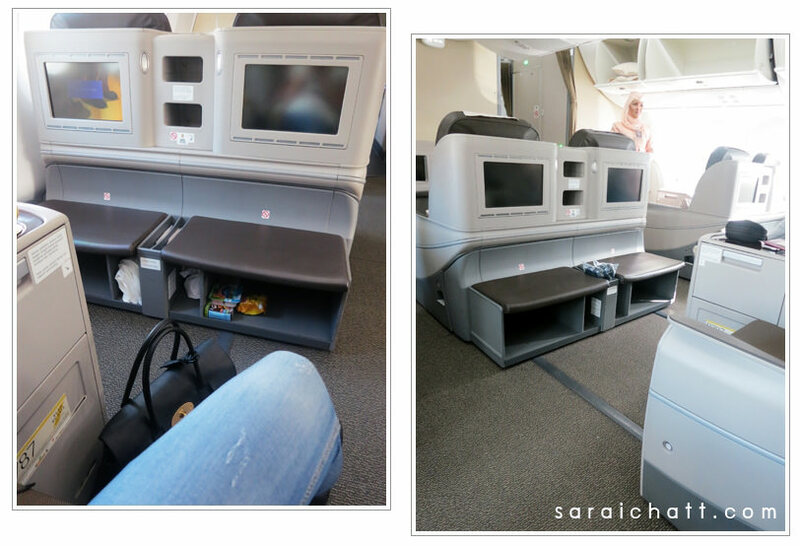 The flight was packed with great entertainment, over 50 movies, not to mention countless of series, cartoons games etc. 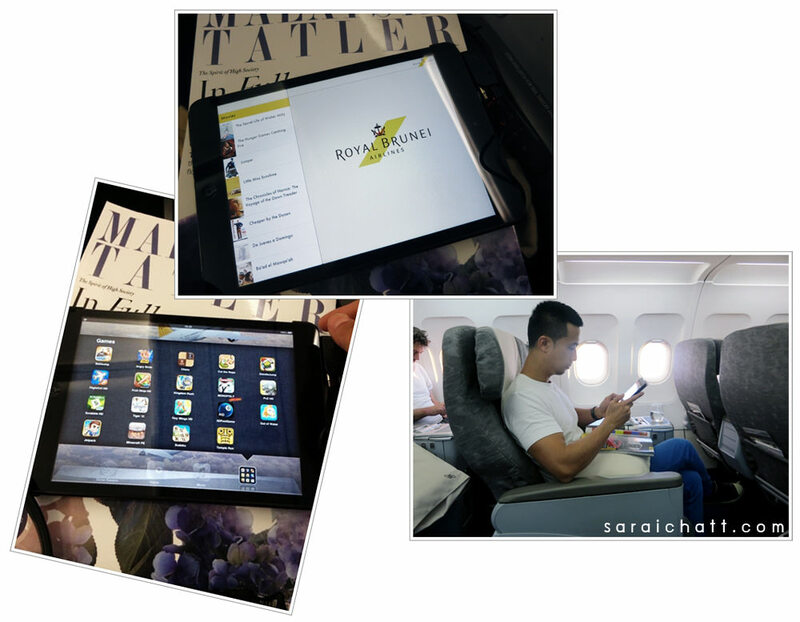 There were inflight entertainment guide and the airline’s magazine which I enjoyed most as I had a good reading of Brunei-Malay’s wedding splendour which was very interesting indeed. 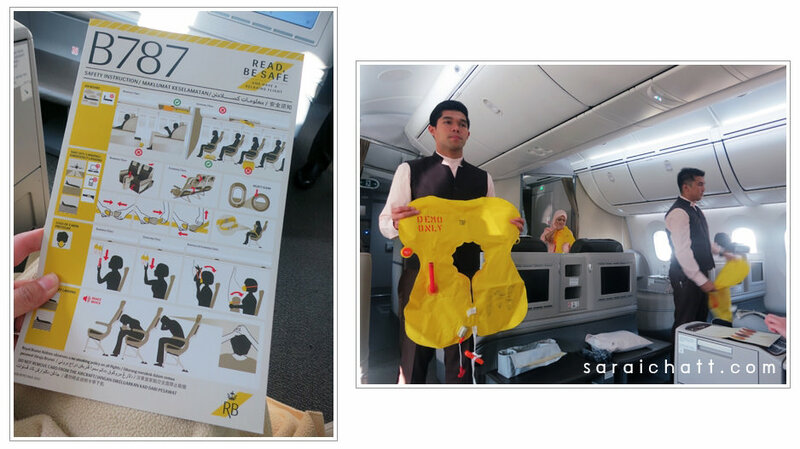 Before take off the air stewardess gave us a thorough explanation of the safety measures which I believe to be of great importance. One should pay more attention to it as can it actually save your life. 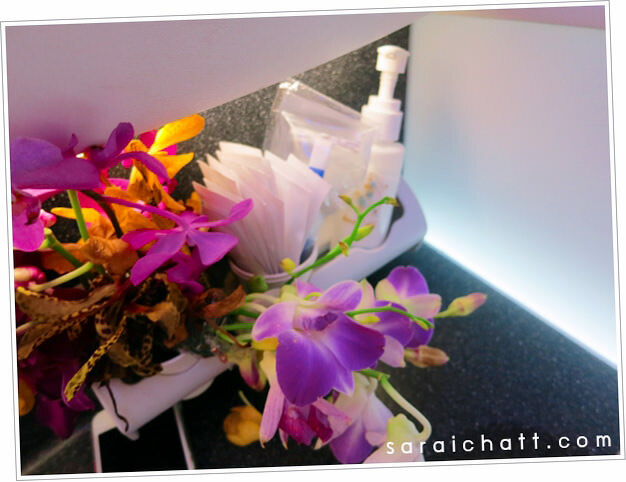 I was instantly refreshed by the flower decor and soft lighting in the toilet. 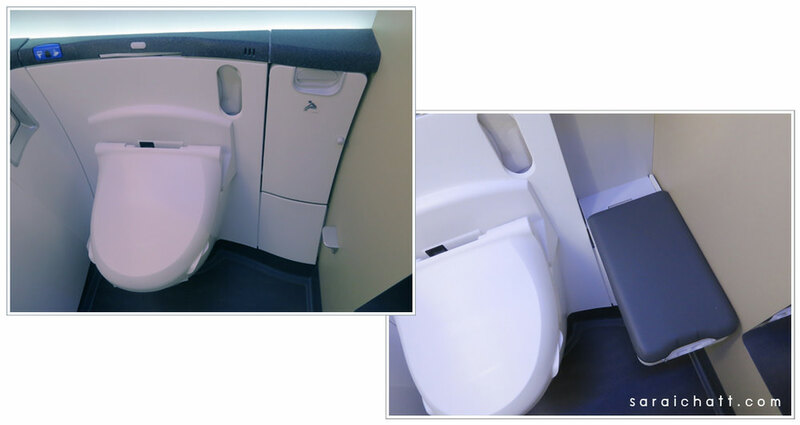 The toilet space is very large and the faucet can control the water temperature. มองไปด้านล่าง ว้าว! นึกว่าห้องน้ำที่ญี่ปุ่น !! มีระบบฉีดน้ำทำความสะอาดหลังปลดทุกข์ทั้งหลายแหล่ด้วยฮ้า เริ่ด!! 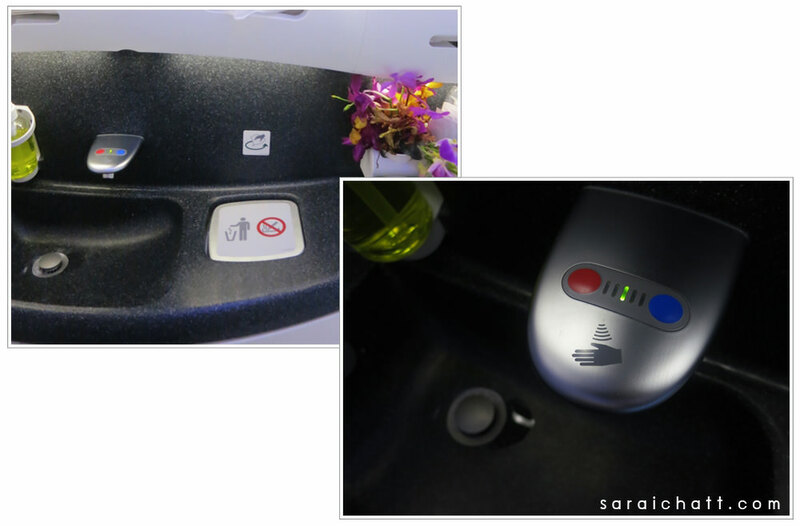 At first glance, the toilet seats reminded me of the ones in Japan with all the multiple functions which was very convenient and impressive! The flush is automatic just hand over the sensor. 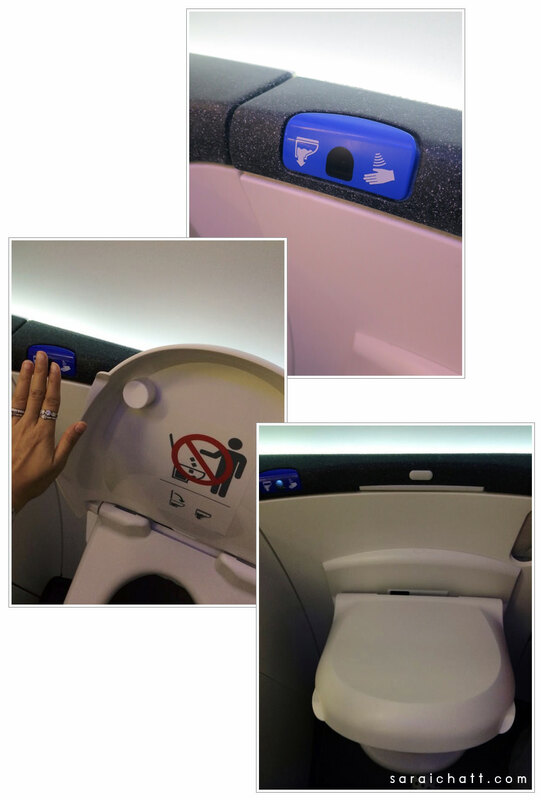 What I loved most was the extra seating provided in the toilet. So you can just imagine how spacious it is in there. I find it very practical as I can unfold the seat an sit next to my daughter when she goes to the toilet. Let’s move on to the menu which is very extensive and varied. I enjoyed every meal especially the cute salt and pepper shake and the tiny olive oil bottle. My daughter couldn’t get enough of the cheese and cold cocoa drink whilst I extremely enjoyed the fruit shake. It’s not to my surprise why RB told me to hashtag #RBBETTERFLY because true to their testament, it is a BETTERFLY. I took some pictures from the inflight magazine just to show you how special the Dreamliner is. But seeing is believing so I suggest you experience it for yourself. They offer many flying destinations. Although I didn’t sit in economy class, I can honestly say the passenger seat is very spacious. Another thing that I have noticed is that there were alot of passengers who are Thai students because apart from London, RB also flies to Melbourne, Australia. Students choose RB to fly to these top 2 destinations because of the extra weight allowance for luggages. But with all the pros comes the cons. The only downside is that you will have to make 2 transits, one I Brunei and another one in Dubai. It took a total of approximately 17 hours from London to Thailand (7 hrs from London to Dubai, 7 hrs fom Dubai-Brunei and another 2 from Brunei to Thailand). Come to think of it, it is not that much different than other flights with just one transit. Consider the lay over time as an opportunity for you to ease yourself from all the flying, relax and go shopping whilst you are at the airport. The inflight crew was told that a blogger will be on board the flight therefore during my flight to London, an air hostess had a little chit chat with me asking what I write as a blogger. Apparently there’s this big hype about bloggers in Brunei. I had the chance to meet with two Brunei bloggers on this trip. I also net one of the inflight crew who is the founder of #brunika that posts wonderful destination images via instagram, you can as well check out Brunei’s and Thailand’s (as he also a big fan of Thailand) wonderful views in instagram account @mriguana. 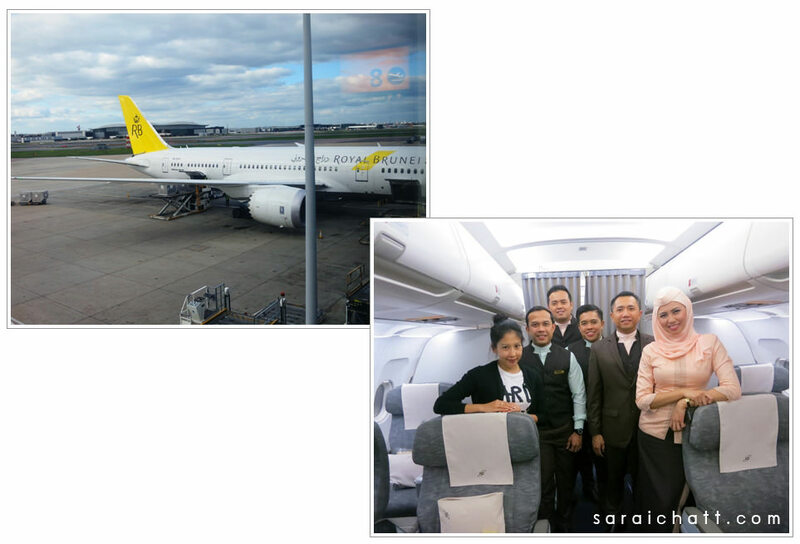 I hope you’ve enjoyed reading this post about the Dreamliner from Royal Brunei Airlines as much as I have enjoyed the amazing experience of flying in this most impressive air carrier. Just a little wishful thinking, but I do hope that I will have the privilege of flying to Melbourne next year. Don’t forget, I have a free holiday package from RB (including free round trip tickets to Brunei with free hotel accommodation for 3 days and 2 nights) up for grabs. Have a blast reading all five posts and good luck!